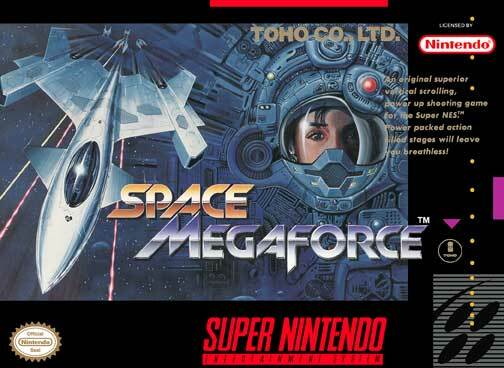 Space MegaForce for Super Nintendo is a super fast shooting action game. You'll have to go full throttle just to keep up with the action, as the screen scrolls faster than ever before. You can take advantage of the Shot Control System, which incorporates the "R" button to utilize several different Attack modes with each weapon.